Whether it happens or not, the RMC Gwazi is still a good entry and deserves that credit. I may be a little biased because BGT is my home park but I will need more time to decide my vote. Frostbite and 'Shroom Fantasy World are both beautifully crafted and eye catching! Baywatch Disaster would've been cool to see more pictures of, maybe a pov video would've helped, can't tell much about the ride itself. Twisted Tiger literally made me have fond flashbacks of riding my favorite coasters at BGT! Beautiful structure, smooth exciting ride, well crafted, you got my vote! Voted for Twisted Tiger as well! Anna if you're going to be that strict about how realism applies to an entry than all of these are unrealistic because none of them exist in reality. 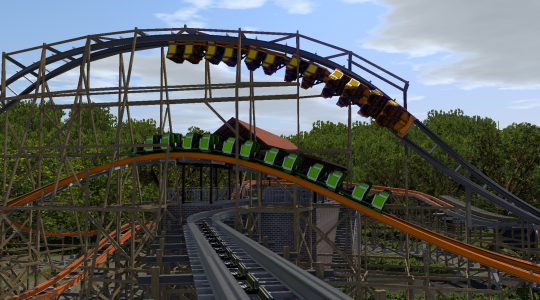 An excellent RMC for RCT2 standards, and the last one competing with Twisted Tiger in my opinion. Can't decide between the two at the moment, and there's really nothing here for me to say other than it looks fantastic, great work on this with team SpaceCrab. If I could give the RMC's a combined first place than this would be second by a long shot. A very creative idea coupled with creative use of pieces (both scenery and track) create a very one-of-a-kind ride that I don't think the site has seen yet. 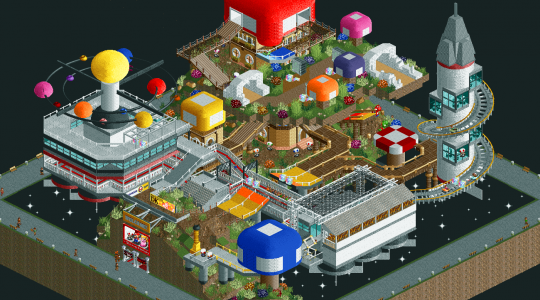 In another round this may have been the first Go-Kart track to have won Build-It! 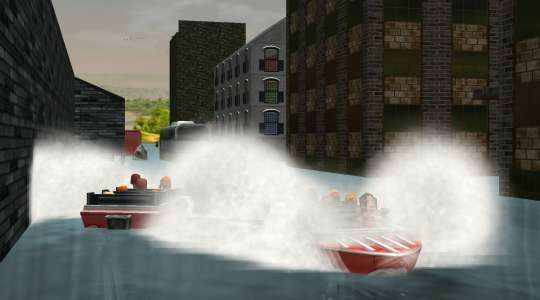 Excellent layout, but as I've been saying for a while here you NL2 guys really need to take the next big step and learn how to add scenery other than trees and rides that are already in the game. If this had scenery/looked like it was actually in Busch Gardens then it would win hands down, but because it doesn't I'm still trying to decide whether I like Frostbite more. Bay Watch: This round's throwaway of sorts, barely any screenshots and no POV mean that we can't see your ride. Next time you enter make sure you include a POV, or at least enough screenshots to where we can see what you've entered. This is by far one of the best rounds we've seen in quite some time. Every entry actually looks like it took a lot of effort to make, well, at least some effort. 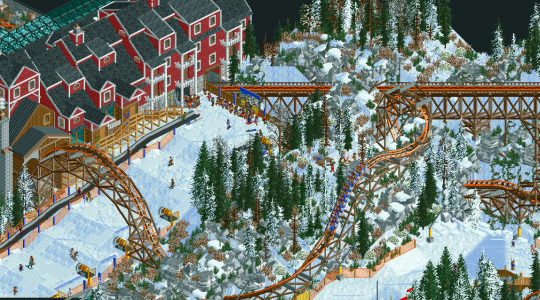 In the end, it is a close knit race between the two RMC's, but I have to give it to Frostbite because it has immersive theming. It may even fight for the best RMC on the site, and that is including....Alterran. Props to who entered this round! If we can get at least half this quality every round from each entry, we're well on our way to something stunning. Good luck to all this round! Tough decision, voted for Frostbite in the end.